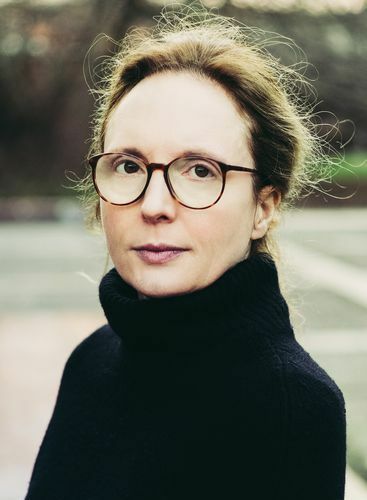 Edition Peters is delighted to share the news that Rebecca Saunders will be awarded the 2019 Ernst von Siemens Music Prize. The award is given annually to a composer, performer or scholar who has made outstanding contributions to the world of music and is accompanied by a prize of €250,000, and sees Saunders join an illustrious list of past winning composers including Benjamin Britten, Olivier Messiaen, Witold Lutosławski, Luciano Berio, Hans Werner Henze, György Ligeti, Sir Harrison Birtwistle, Helmut Lachenmann, and Brian Ferneyhough amongst others. The award will be presented in a ceremonial concert on 7 June 2019 at the Prinzregententheater, Munich, where soprano Juliet Fraser and Ensemble Musikfabrik (whom Saunders has worked with closely for many years) will perform Skin, under the direction of Enno Poppe. Having previously been awarded the Ernst von Siemens Composer’s Prize in 1996, Saunders’ receipt of the main prize crowns a year of staunch success which also saw her receive the tenth edition of the Roche Commissions series in September 2018, for which she will write a piano concerto to be premiered by Nicolas Hodges at the Lucerne Festival in 2020. Further information can be found on the Ernst von Siemens Foundation website. Ensemble Modern performs a portrait concert of Saunders’ music on Saturday 19 January at Queen Elizabeth Hall. Tickets are available from the Southbank Centre website.